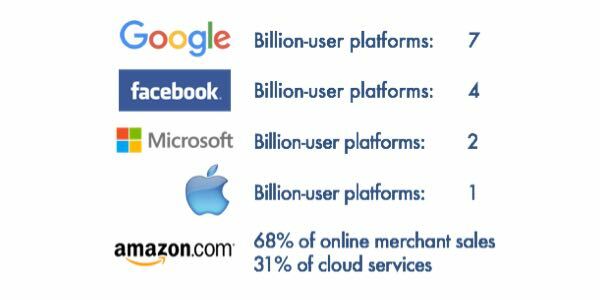 How will your company win against your biggest digital competitors — the billion-user platforms, AI’s and voice bots from Google, Facebook, Apple, Microsoft and Amazon? First disrupt with a people-first industry. 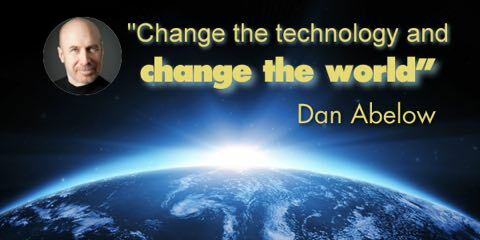 Then disrupt the world: Scale and lead a people-first Digital Earth. The world has been rebuilt many times as new inventions were created to change it: Examples are railroads, electricity, automobiles, communications, television, airplanes, computing and networks. 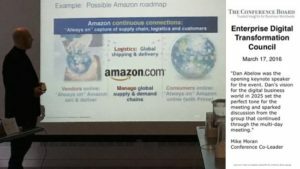 Based on Dan Abelow’s keynote speech that opened the Conference Board’s Enterprise Digital Transformation Council in New York: The big surprise is the speed and scale at which your company can drive Global Digital Transformation. Here’s the new technology and clear vision you need to lead tomorrow’s Digital Earth. Today’s world is headed toward an Age of Crisis. This invention is the opposite: Reach for a universally prosperous, successful and sustainable planet. Lead the World toward humanity’s highest and best goal. Become the brand and historic leader everyone talks about now. And for a generation. Will our growing Age of Crisis force us on a Journey to Greatness? This keynote speech, delivered at a conference in Brazil, shows how our generation will become one of the most important in history. See how your company can grow historic — on Our Journey to Greatness. Develop your Media Leadership by adding a Gateway Platform that each person controls. Deliver personalized information, advertising and lifelong Personal Success — tomorrow’s actionable Media. Develop your Work Leadership by becoming the “Platform for Real-Time Work” around the world. Converge customers, employees, suppliers, distributors, markets and the economy. Embed the new “Actives” — Knowledge, Resources and Commerce — and develop your Commercial Leadership. Replace search, advertising, shopping and retail with “moment of need” knowledge, tools and commerce. Transform life, work, entertainment and learning. 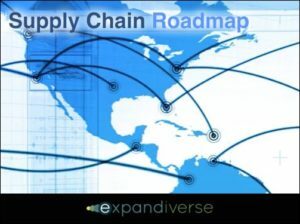 Drive the global economy and supply chain. More Industry Roadmaps to develop: Who else might lead their industry and then the world? Capture your industry, then other industries. Or be captured. Social Media Facebook/WhatsApp/Instagram, Snapchat, LinkedIn, Twitter, Pinterest, etc. Collaboration / Remote Work Slack, Skype, Atlassian, Jive, SharePoint/Yammer, IBM Connections, etc. Search Google, Chatbots, Voice assistants, Active Knowledge, etc. Devices Apple, Samsung, Android, Huwei, Lenovo, etc. Software Microsoft, SAP, Oracle, Cloud services, Apps, etc. IoT / Industrial Internet GE, Intel, Qualcomm, Cisco, etc. Start Prosperity and Greatness for All on a successful Digital Earth. We are disconnected from — but wirelessly surrounded by — the world’s best knowledge, resources and tools. Imagine a world where the world’s best knowledge and digital resources flow to everyone to amplify what they do right away. 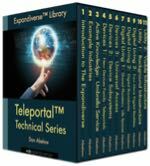 The world’s highest levels of success will be delivered everywhere. Everyone will rise to greatness. This minute. Today. And every day. ​Disrupt and lead the economy with Connected Consumption, and a FAST Platform for Worldwide Prosperity. By 2025, one or a few companies could lead tomorrow’s Supply and Demand Chains. 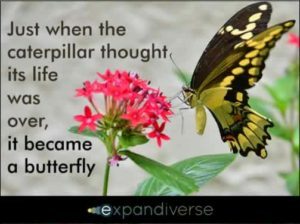 ​Do your Global Transformation. Earn by guiding other companies through their Transformations. Help lead the world to faster economic growth and the solution to inequality. 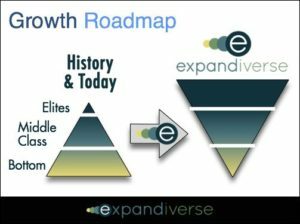 Add Exponential Personal Growth and start Universal Prosperity. 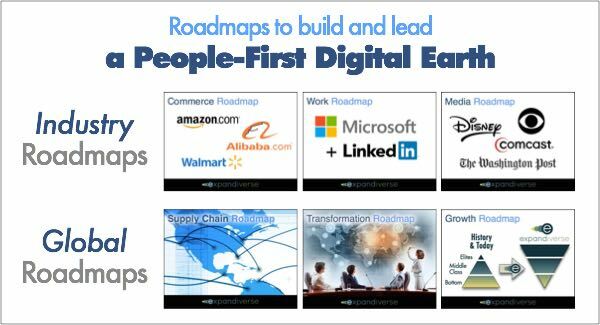 More Global Roadmaps to develop: When tech adds people-first, how will that change the world? Public Domain How could Expandiverse Technology be made public domain, so everyone can build its components? Brands Customer journeys to continuously connected, high quality customer-vendor relationships. Digital Cities Parallel physical and digital cities; Services, multiple presences, multi-city residence/employment, notifications, alerts, etc. Privacy / Safety/ Security Online and physical safety beyond surveillance, police and governments. They protect their security above people. When you’re in control, your safety comes first. Politics How well do politicians fix inequality, middle class decline, low economic growth, education, healthcare and much more? Here are new ways for you and everyone to rise. Why should elites be the only ones at the top of society? Why not everyone? Identity Parallel physical and digital identities; Identity services, worldwide presences, multiple work/career paths, multiple identity asset management, etc. Designed Realities Creating, broadcasting, sharing and living in the multiple digital realities your multiple identities want and choose. The next Scale of Transformation: Disruptive companies lead industries. Why not the World? By 2025 these kinds of platforms could capture most of the world’s wealth through AI, robotics, cost elimination and automated jobs. Lesson for Leaders: If you’re not the disruptor, you lose. A Global Digital Transformation will converge life, work, business, entertainment and everything. Digital Convergence Wars are coming. Digital Darwinism will determine the few apex leaders. Winner-take-all will become “winner eats everything,” with always-on platforms and ecosystems. How much time do you have to get there? The coming Digital Infrastructure will last for decades, with a few long-term winners and many losers​. Now is the time to start developing your leadership — before your company is consumed or captured by a dominant competitor. 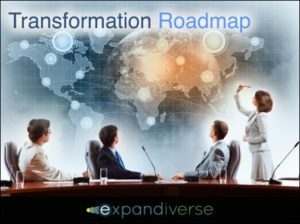 Prepare now: Expandiverse Roadmaps help you capture your industry, then scale to help lead a people-first Digital Earth. 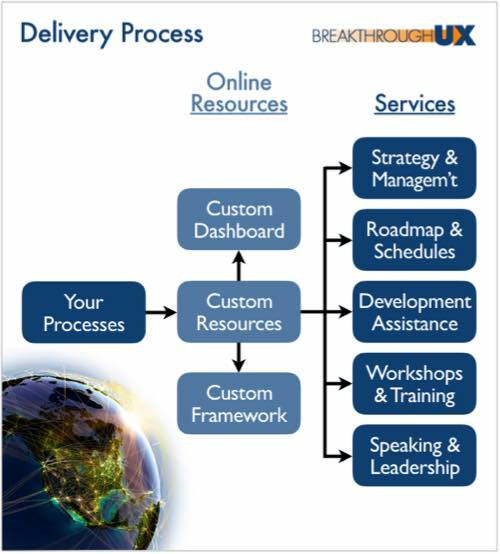 Breakthrough UX adds services to help you accelerate to leadership. Lesson for Leaders: First movers capture the future. Don’t be late. Don’t lose. Will people or companies lead the World? New Expandiverse Technology was created to create a positive future with a People-First Global Digital Transformation. What is disrupted? This puts people first, transforming the ways in which leading companies do business. Its name is Partnership Capitalism. The world’s new leading companies are continuously connected with consumers, employees, suppliers and distributors. The world’s best abilities are at everyone’s fingertips. Everyone can rise all the time. Everyone also has Digital Boundaries and blended screens, so their personal choices are what their screens display: For example, you could see healthy food, renewable energy, and products from people-responsive companies only. 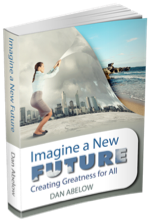 Imagine a planet of universally successful and prosperous people. Billions grow every minute, advance every day, reach for their dreams as a normal part of life. And achieve them, because Personal Greatness is normal. For everyone. When everyone gains control, how will it work? 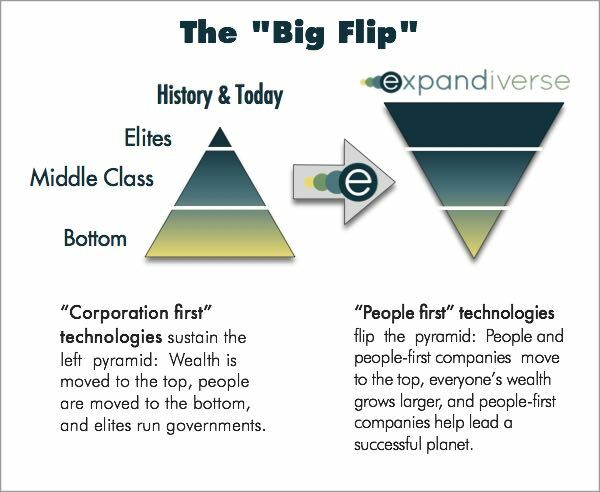 What happens to the size and shape of the economy when everyone can succeed immediately? We are wirelessly surrounded by the world’s best knowledge and tools. But they’re disconnected from what we do. On a people-first Digital Earth, the best knowledge, digital tools and commercial choices are embedded in every step. Everyone can use them in live connections to rise to greatness. With personal Digital Boundaries and Connected Consumption, the choices each person wants will be the ones they see. When the world’s best knowledge, tools and choices are a normal part of everyday life, personal success will become the norm. Trusted companies will enjoy always on connections, accurately delivered products and services, reduced marketing, minimized advertising, lowered risk and raised satisfaction. These companies’ economic fortunes soar as they take markets and consumers on the Journeys to Quality Living each person wants. Digital Boundaries raise competitive barriers by blocking companies that are not wanted. Everyone can live in the high-quality world they want, for the first time in history. Begin by adding Digital Earth features to today’s products and services. Use a Two-Speed Strategy: (1) Today’s business with new features, plus (2) Transformation experts accelerate your digital future. 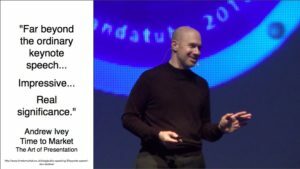 See Start Here — Technology: What is the Expandiverse Digital Earth? A Digital Economy’s network effects mean winner-take-all. 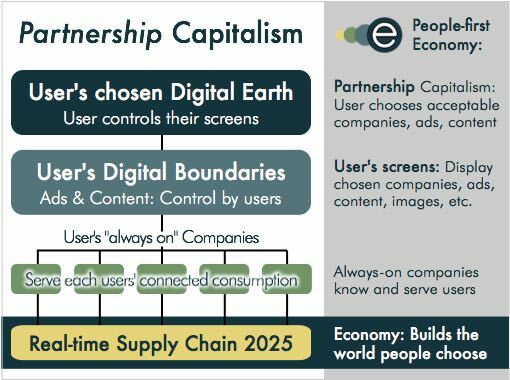 If only a few companies will lead a Digital Earth, why not make it your company? And why not use Universal Personal Success and Prosperity to drive your company’s growth, expand markets, and lead a successful planet? Stage 1: Develop leadership today by using initial Expandiverse features to solve your customers’ biggest problems. Stage 2: Scale to solving your industry’s biggest problems. 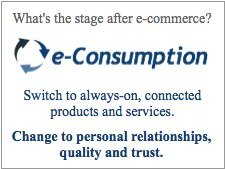 Stage 3: Include other companies in your ecosystem, or capture and consume them. 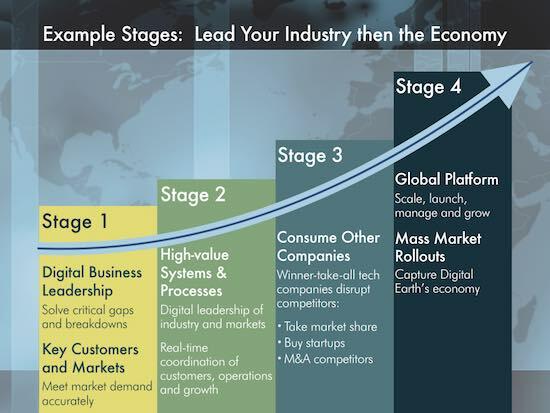 Stage 4: Start disrupting and leading a people-first Digital Earth by 2020–2025. Don’t wait. Become tomorrow’s leader now. Add these capabilities to your products, services, company and culture. How will your company win against the billion-user platforms, AI’s and voice bots — and the $multi-billion investments — from Google, Facebook, Amazon, Microsoft, IBM Watson and Apple? Follow-the-leader doesn’t work when multiple leaders will be gearing up to spend $billions capturing your customers, the economy and entire societies. You need a new way to think, a better future to build, new technology to build it — and skilled people to drive it. 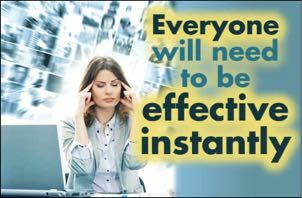 You need to add experts who accelerate your company and put you in front. If your company falls behind, you’ll be road kill. Add features that will grow your platform. 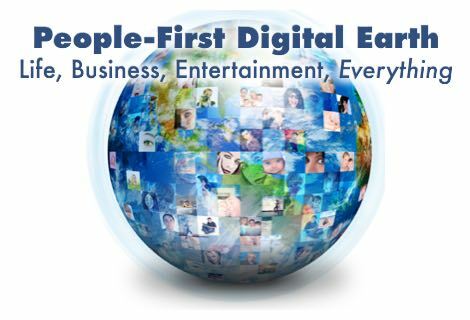 First make yours a people-first digital industry. Then scale to help lead a people-first Digital Earth. Accelerate your company by adding new people-first services from the inventor’s consulting company, Breakthrough UX. Begin by adding Digital Earth features to your products and services today. Target Industry Leadership. Then scale your industry leadership to start consuming competitors, and extend into multiple industries. As your platform grows, help start Universal Prosperity on a Successful Digital Earth. Become THE people-first digital leader — and multiply the value of your company. The world has been rebuilt many times as new inventions were created to change it: Examples are railroads, electricity, automobiles, television, airplanes, computing and networks. 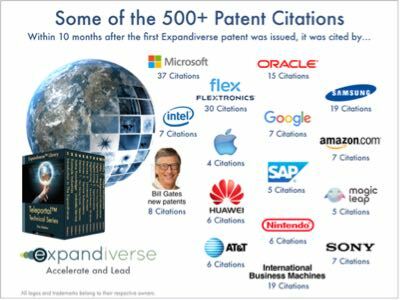 Over 500 patent citations were received within 10 months after the first Expandiverse patent issued. Bill Gates cited this technology in 8 of his new patents. The most patent citations come from world-leading companies. The U.S. Patent Office divided the 1,400 page Expandiverse specification into 31 technology categories, enabling a patent family of divisional patents from now through 2031. We will live on a Digital Earth long before this IP expires in 2031. 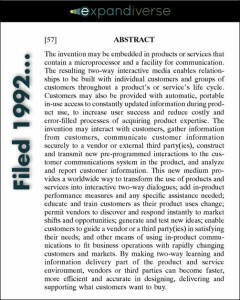 Will “digital” disrupt IP (Intellectual Property)? Could “Patents From the Future” transform the value of IP? Image credits: All logos and trademarks belong to their respective owners.